Since I cut my hair into an angled bob, I can’t just wash and go. It flips weird and curls weird and it just looks bad, not to mention it’s really fluffy after I wash it. 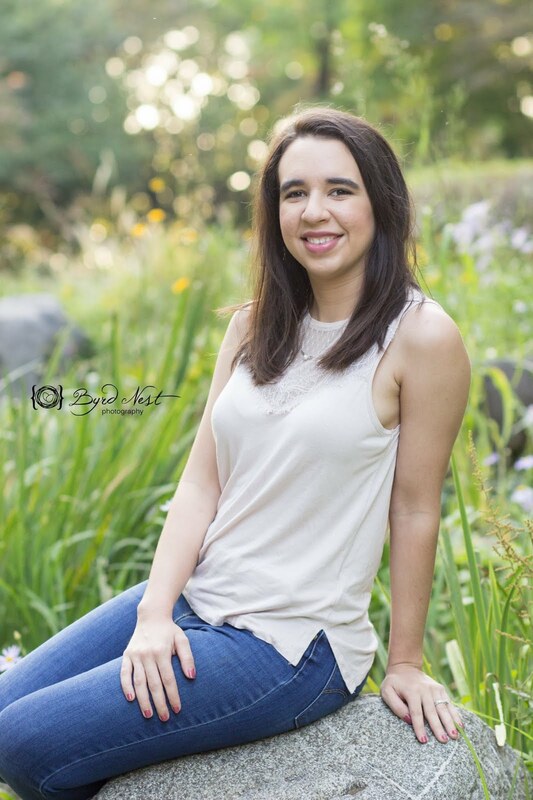 Funny story, the second day of Rush week I showered and blow dried my hair not knowing that it wouldn’t be tamed after blow drying, so I had to go impress sororities with fluffy, kind of straightened, kind of flipped out hair. It was terrible. But anyway, I have to straighten my hair after I wash it. I take showers at night, but only wash my hair two or three times a week and so the mornings after I wash my hair, I straighten it. Since I do have to straighten it so much, I don’t want to damage it too much and I feel like this spray helps keep the damage to a minimum. 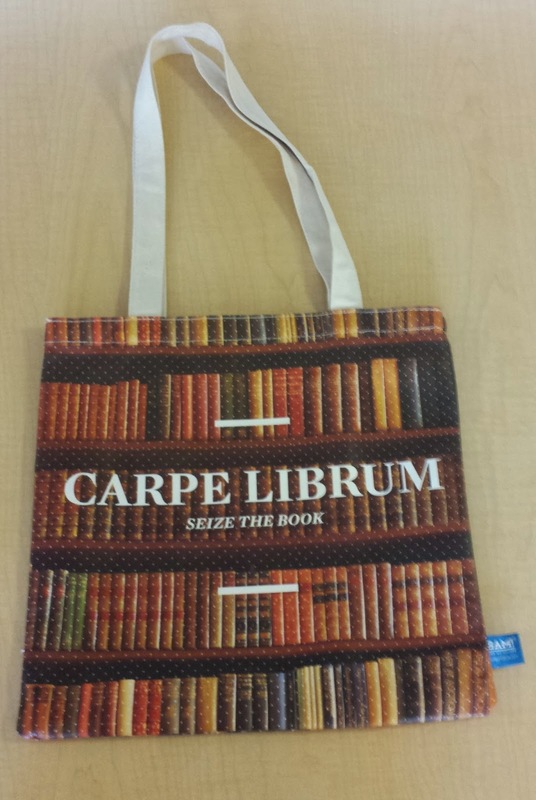 I got this book tote bag on sale from Books-A-Million for 5 Dollars! I wanted a tote bag this semester for days when I only had one class and didn’t need to take my humungous backpack for a notebook, pen, wallet and water bottle. Most tote bags that I found were around 20 to 30 dollars and that was just too much to spend on a tote bag at the time; then my Mom and I just happened to be at the book store like we always are and I saw this for $5 and being an English major and major book lover, I fell in love with it. I’ve used it a couple times already and it fits everything I need to take for a class or two. 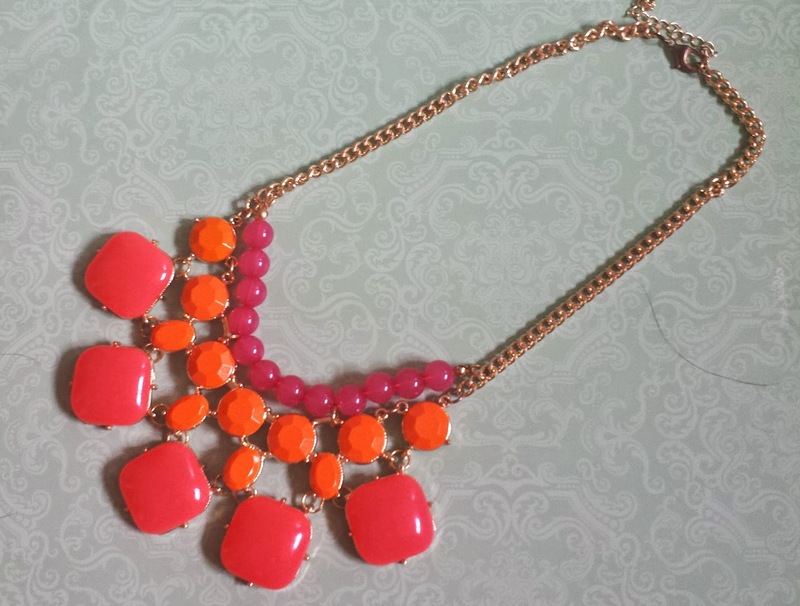 This is my favorite of the three that I got, but I got three new colorful statement necklaces to go with my outfits for rush week. I go necklaces that not only went with my outfits, but would also go with other outfits that I have. This is my most worn one because I am still obsessed with coral, so it goes with my pink toms, my favorite nail polish color for summer and a lot of my shirts. The colors are really pretty, and it was on sale at target for 11 dollars. :) Don’t you love sales? My freshman year of college I got this black and white bedding from this online dorm store and I hated it! It was so boring and bland and just didn’t add any happy, color to my room. My roommate had this colorful bedding that I loved and I was always so jealous of how bright hew side of the room looked compared to how boring mine looked. So this year I got a new bed spread and sheet set and let me just say, coming into my room and seeing the bright colors makes me so happy. 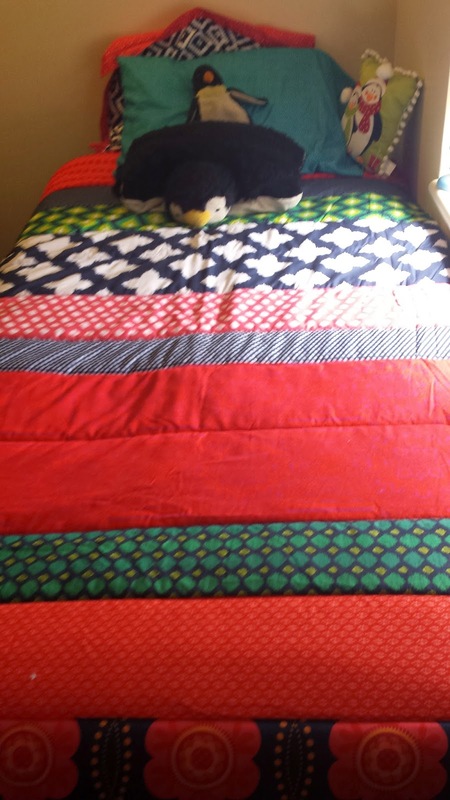 It also inspires me to keep my bed made so that I can see the full design :) I got this at Target on sale for 25 dollars. I am on a roll with these sales! Going into Rush I was super nervous about talking to all the sororities, but I also didn't go in with a certain sorority in mind so I wasn't biased. 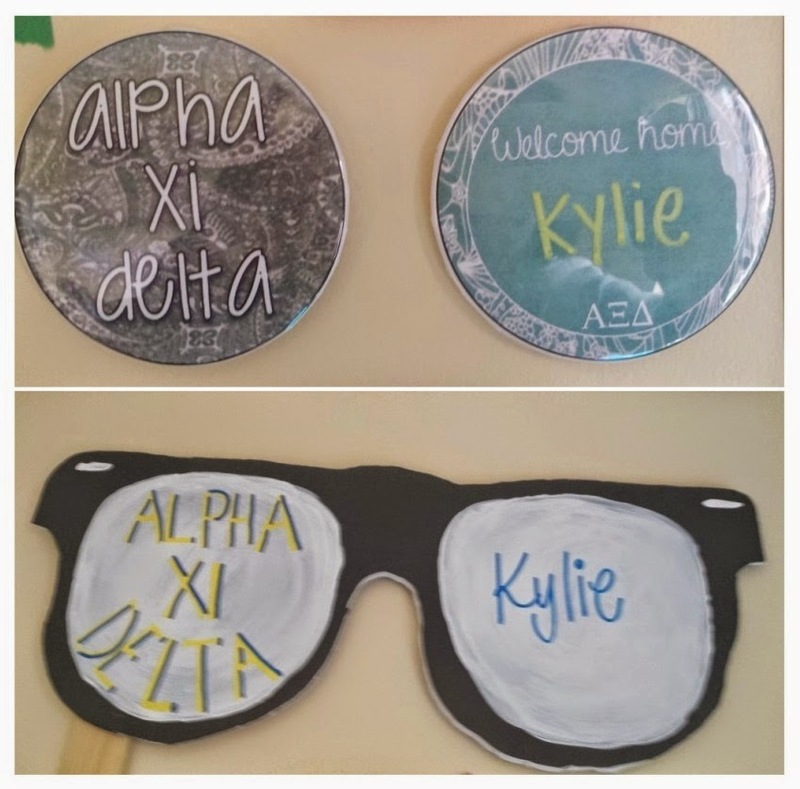 Alpha Xi was the last room I went into night one of rush, and I fell in love with it. When I was called back to them nights 2 and 3 and then received my bid from them I was so excited and happy. All the girls are so sweet and accepting. The events that I have gone to so far have been so fun and I’m so excited to spend the next few years with these girls!